I thought I'd open a thread for anyone who has an interest in Tropical Cyclones.it's currently system number 6. 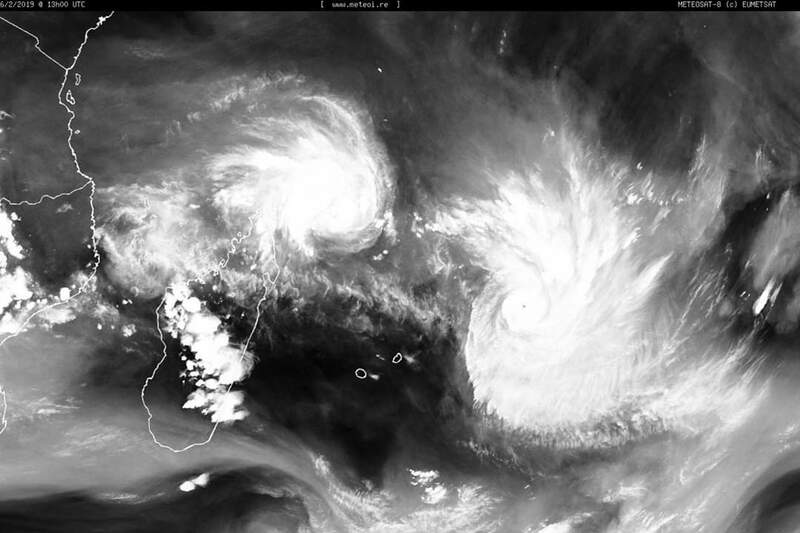 There is also a high probability of another system just north east of Madagascar. 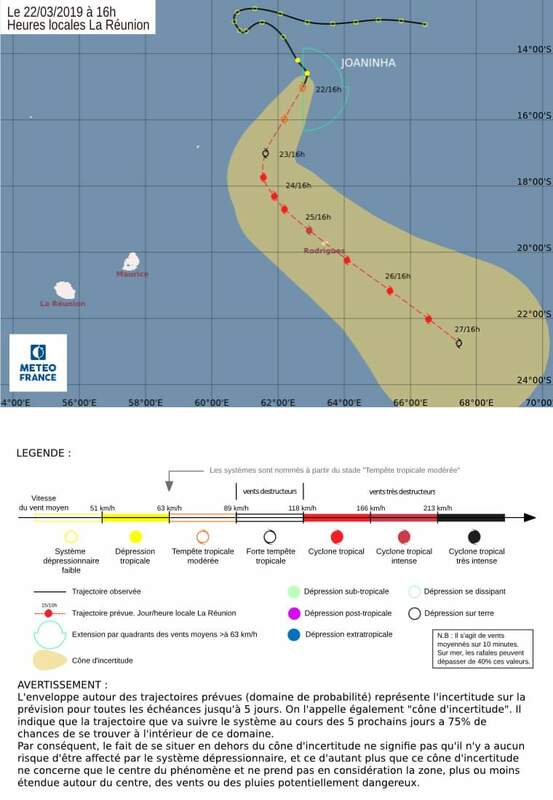 During the past few hours, the tropical depression has intensified into a moderate tropical storm and at 2000 hours, it has been named 'FUNANI' by the Mauritius Meteorological Services. At 2200 hours, moderate tropical storm 'FUNANI' was centered in latitude 16.1 degrees South and longtitude 64.3 degrees East. 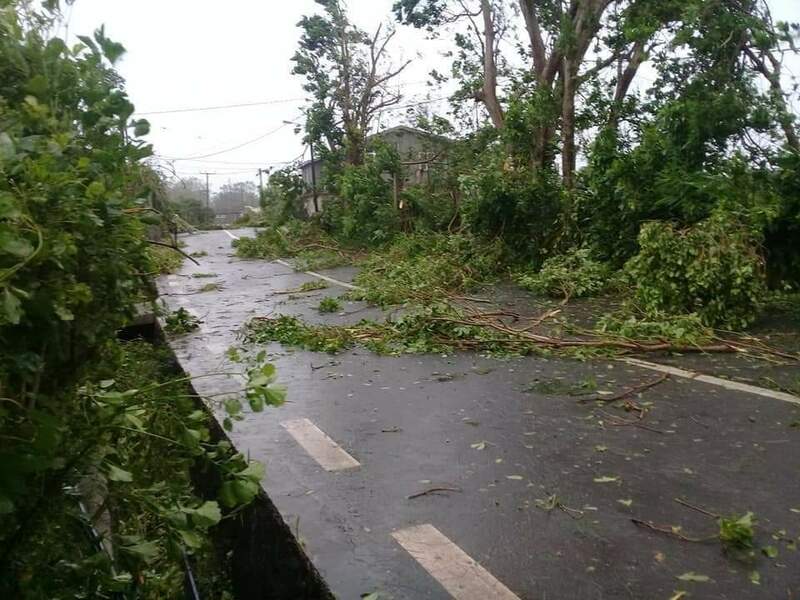 It continues to move in a general south-westerly direction at about 12 km/h. There are indications that 'FUNANI' will recurve towards the south-east by tomorrow morning. 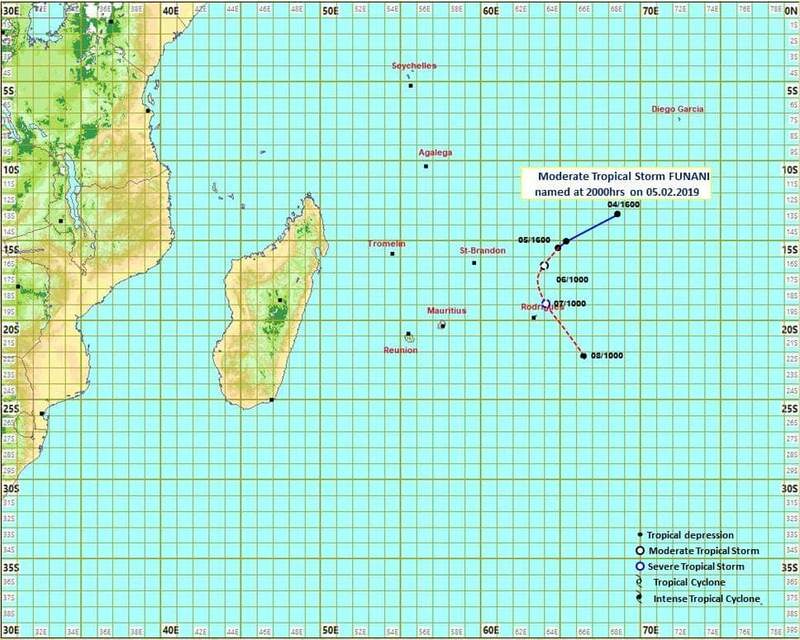 This change in trajectory is likely to bring the centre closer to a tiny island called Rodrigues. Outer cloud bands associated with 'Funani' have started to cross the island giving some showers. 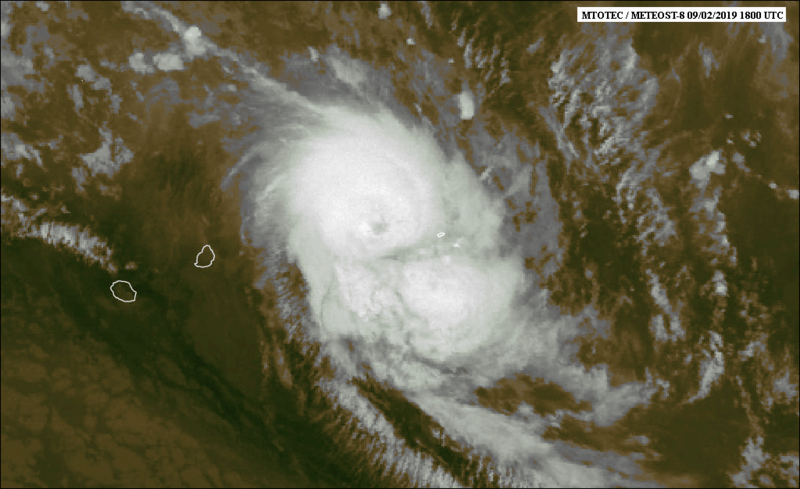 The weather at Rodrigues will continue to deteriorate significantly as from now on. Last edited by YanSno; 06-02-2019 at 19:16. 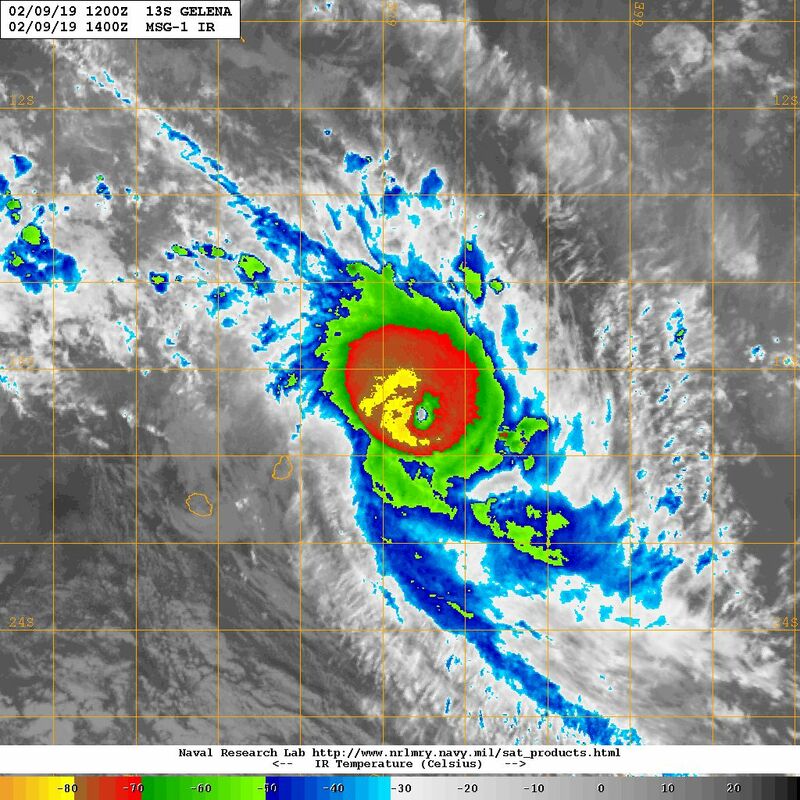 Tropical storm Gelena has intensified into an intense tropical cyclone cat 4 equivalent. With sea temps over 28 and lots of moisture it's expected to become a super cyclone with winds exceeding 300km/h 50k around the radius. It was centered at about 660 km to the north-north-west of Mauritius, that is in latitude 15.0 degrees South and longitude 54.4 degrees East. It is moving in a south-south-easterly direction at about 12 km/h. Quite impressive intensification going on. 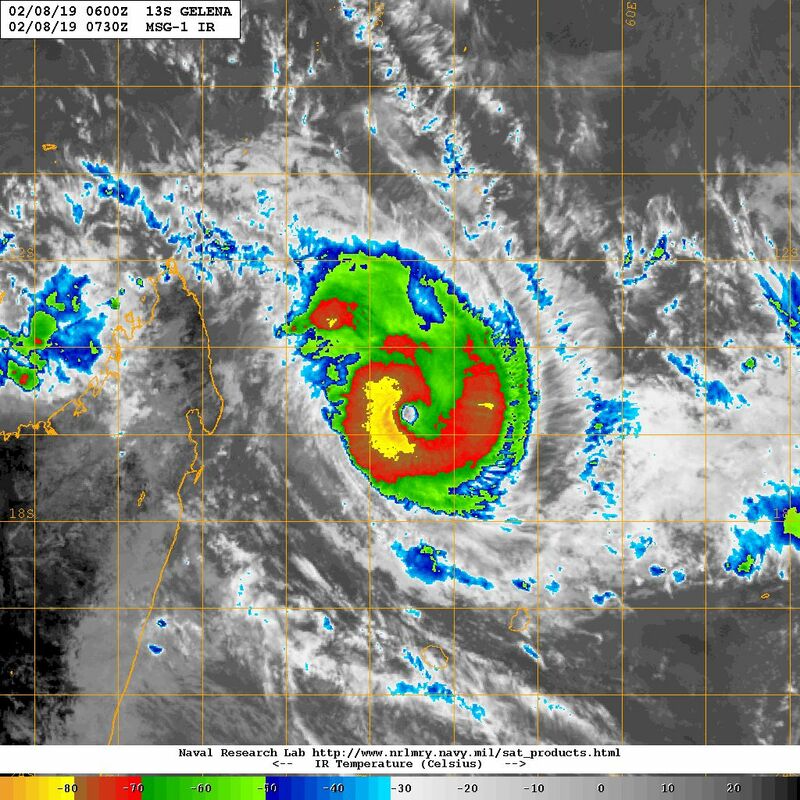 Latest information shows that Gelena has picked up in intensity and has become an Intense tropical cyclone again. It's located in latitude 17.8 degrees South and longitude 58.5 degrees East. It is moving in a south-easterly direction at a speed of about 20 km/h. 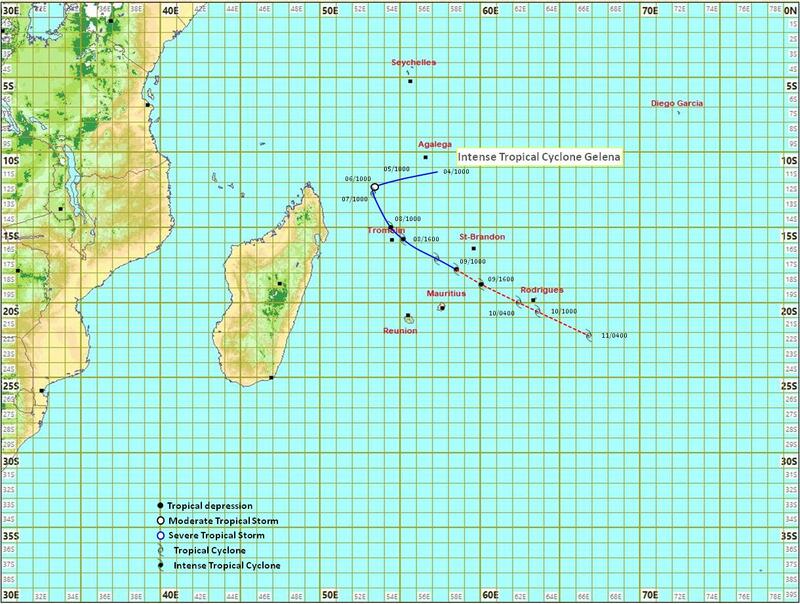 It's expected to pass at it's closest point 50km south coast of rodrigues island. The last reports i received it was gusting 280km/h winds on sea. Pressure at the centre is 945mb. 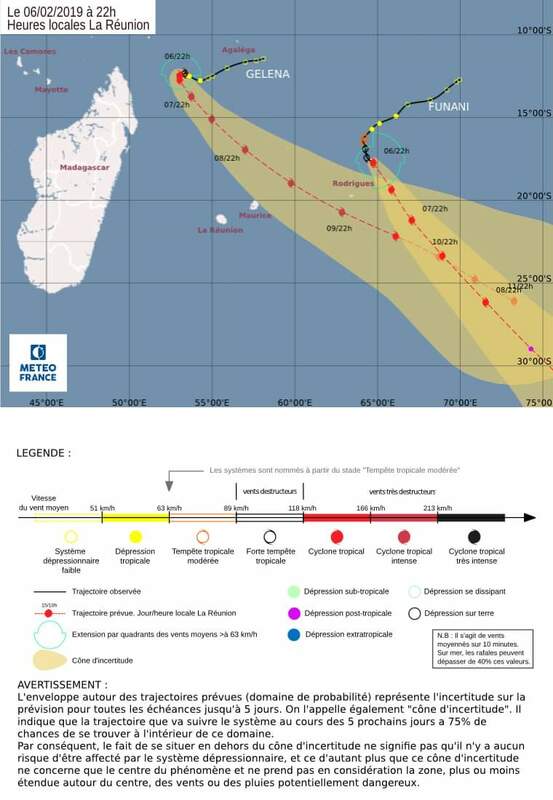 I pray for all in rodrigues. Rodrigues should be just inside the 64-knot winds from around now as the centre passes to its south. 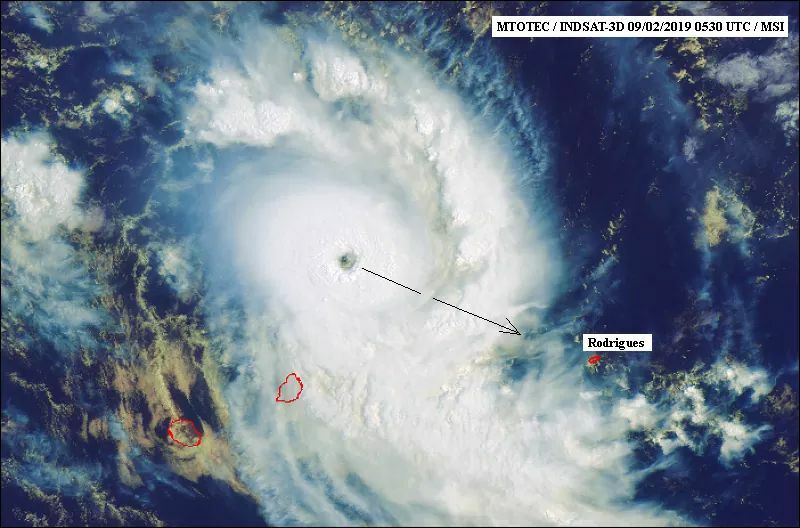 Rodrigues is currently on it's highest alerts, winds gusting over 120km/h has been recorded throughout the island thus meets level 4 warning. The good news is moving rapidly in a ESE at 30km/h. 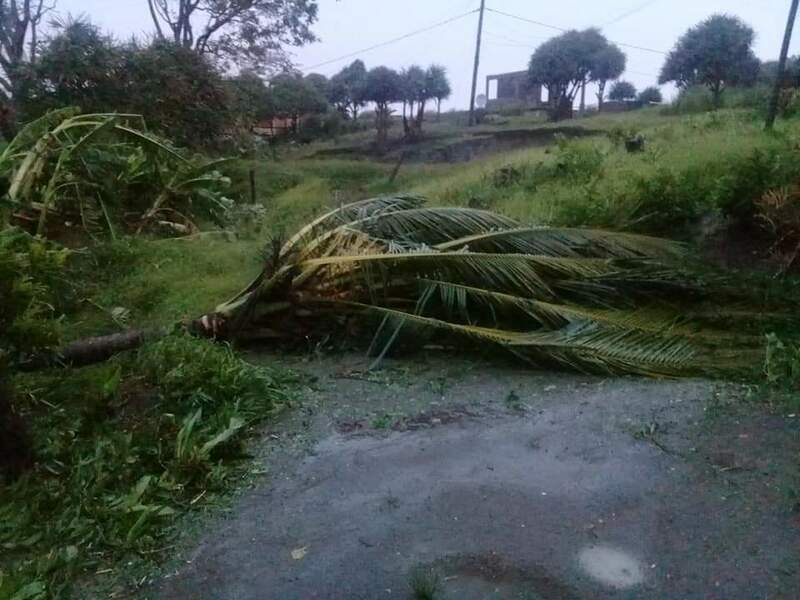 Gelena passed at it's closest point at around 35km south of rodrigues this morning at 0400 local time.Cyclonic conditions prevailed for more than 6hours. It's moving away at an accelerated speed of 32km/h. 75% of the population has no electricity, communications is very limited at the moment and damage evaluation hasn't been done yet. Data for 0400 is not available when Gelena was at it's closest point. I will update once available. Where do you get those data? Rather quiet for the next 2 weeks with almost no activity.The next MJO phase looks very promising and lots of activity expected. 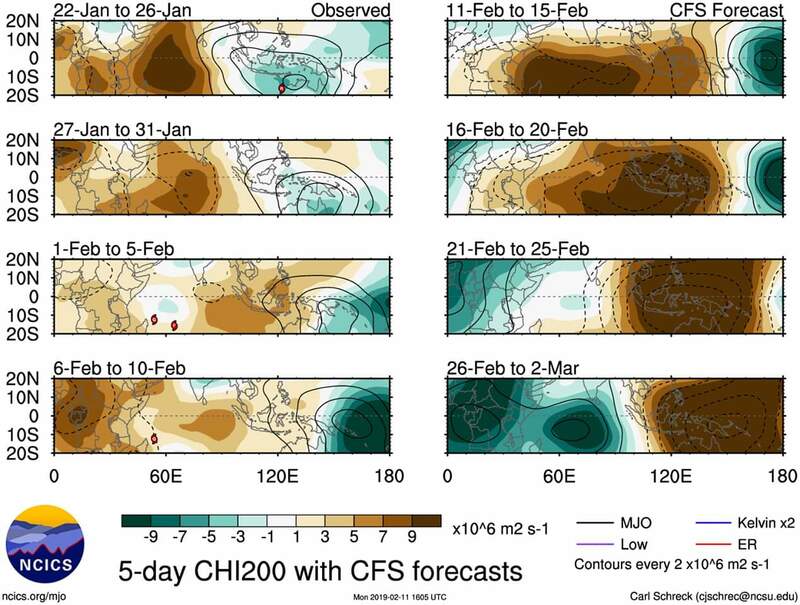 Tropical cyclones and electric storms likely to occur start of March.It indicates a humid phase. Last edited by YanSno; 11-02-2019 at 17:12. 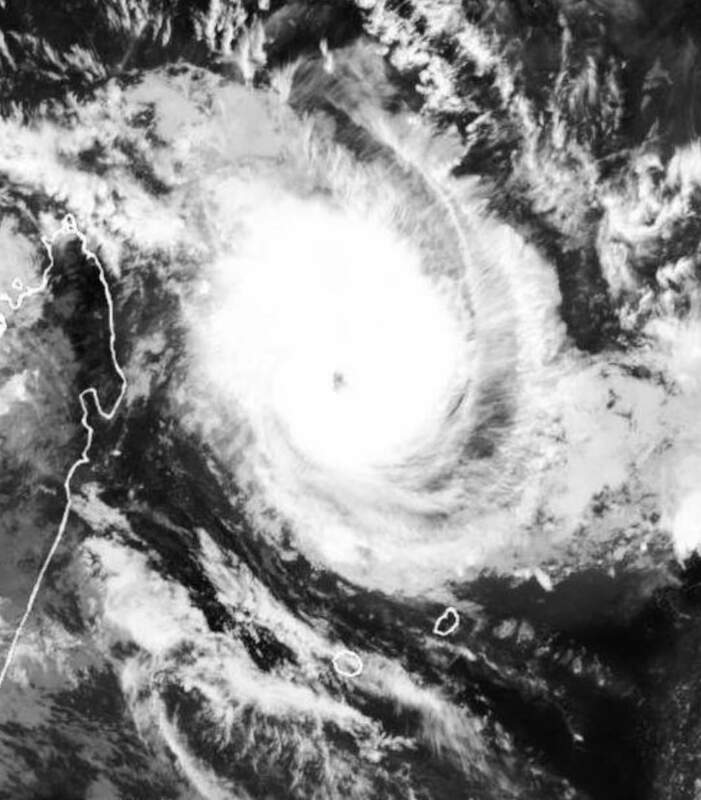 Powerful and extremely dangerous Tropical Cyclone Idai is barrelling towards Central Mozambique with imminent landfall within 24 hours near the port city of Beira (population 530k). This storm has already triggered torrential rainfall that's lead to over 100 fatalities in southern Malawi and Mozambique. I'm concerned that its slow forward movement will only cause more flooding, not to mention the extreme wind threat facing coastal regions. 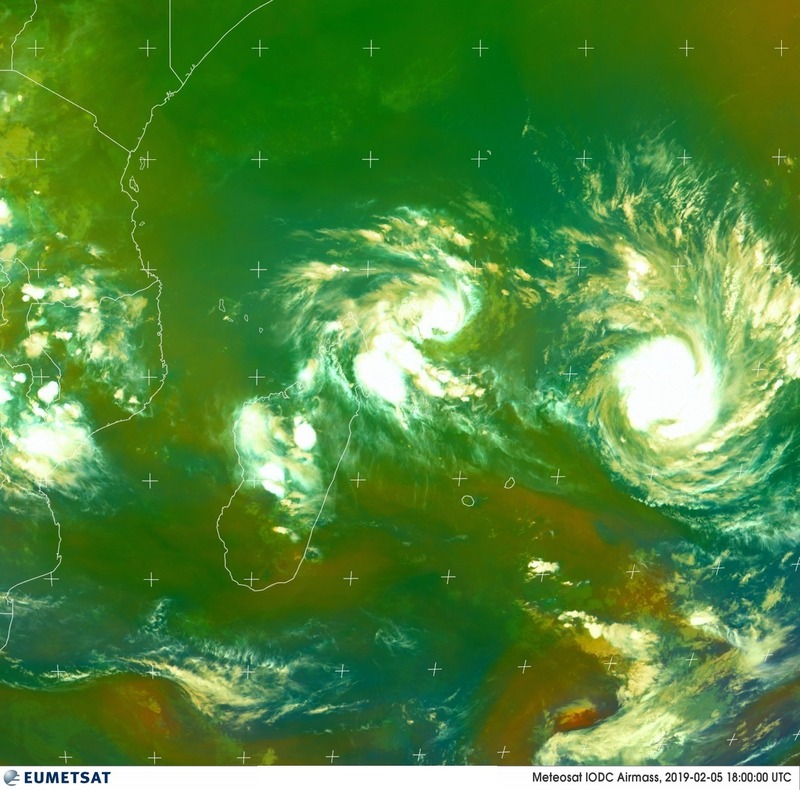 As the outer rain-bands reach the shoreline of Central Mozambique, all final life and property saving measures should be nearing completion within the next 12 hours. Flying debris, flash flooding, tornadoes and destructive waves will become widespread as the eye of the storm makes its final approach. 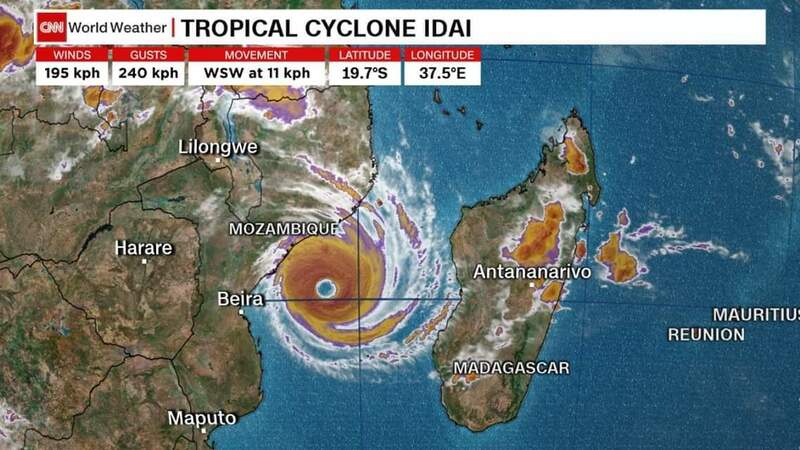 Idai caused substantial damage in Mozambique last week and death which is likely to exceed the 1000. Meanwhile LP which was located south west of Diego garcia has intensified into a Tropical Depression and was named Joaninha this morning . Current estimated pressure is 992hpa. 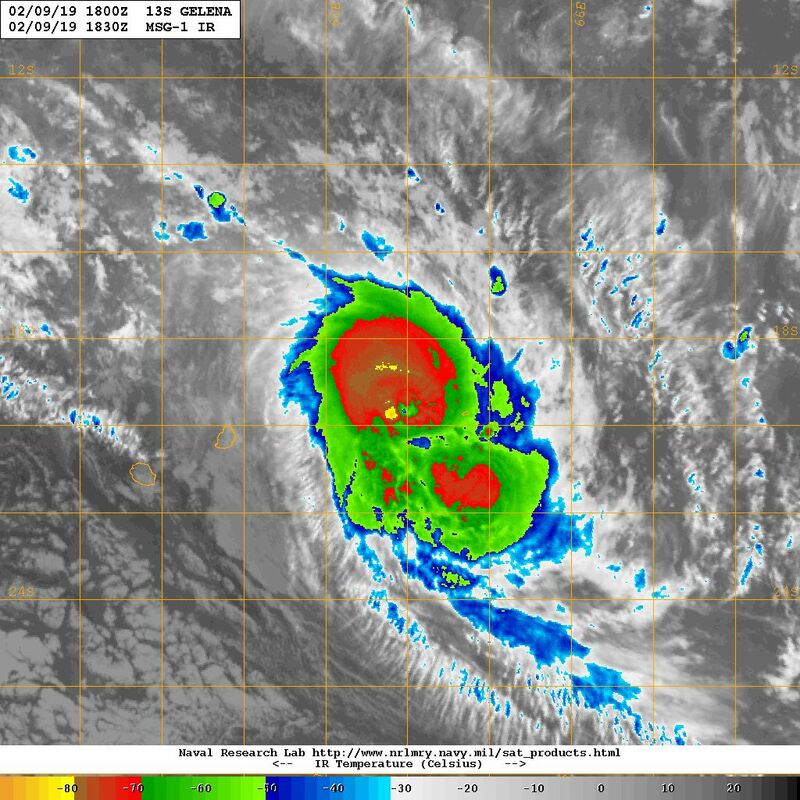 With favourable conditions and warm sea surface temperature above 28c, Joaninha is expected to intensify further into an intense tropical cyclone over the coming days . 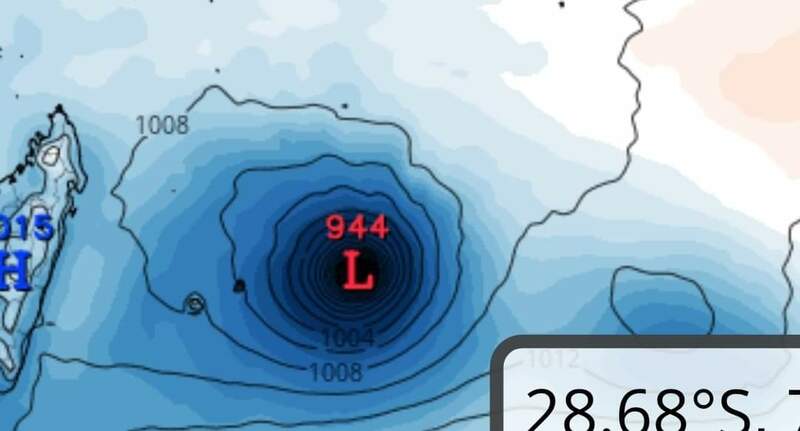 Both Gfs and ecmwf is bringing the centre very close to Rodrigues Island. This could be a memorable one as in terms of big diameter. I will be flowing this one closely for my family who are currently living on the island. Population of Rodrigues is around 34,000.